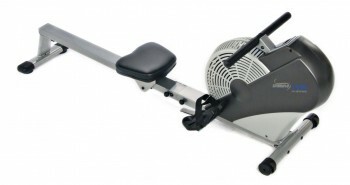 If you’ve got a little cash to spend on a rower, but not enough to buy a machine at the highest end of the spectrum, you will most likely want to look at rowers in the middle of the price range about $400 to $600. 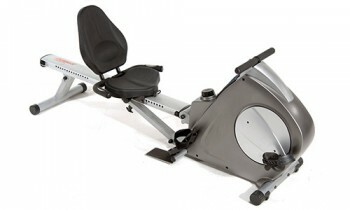 The LifeSpan Fitness RW1000 falls in this price range and it is fairly popular as well. Aside from the price, I wanted to review the LifeSpan Fitness RW1000 because it seems like the perfect rower for someone like me who lives in an apartment. It is effective, quiet and folds to a nice compact size for storage. What else is there to know about the LifeSpan Fitness RW1000? Read on to find out more. 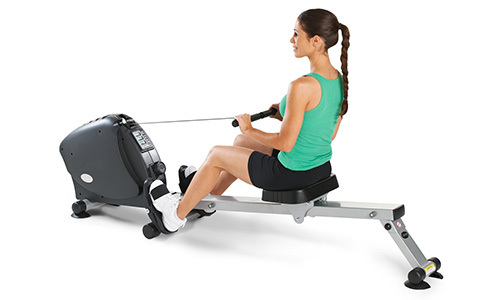 The LifeSpan Fitness RW1000 received the 2008 Gear Awards Seal of Excellence; to me this means that it is a well-made rower that you can rely on to give you a good, full-body workout. Not many rowers bear seals of excellence like this. LifeSpan is known among fitness enthusiasts and trainers worldwide make durable and well-built machines. 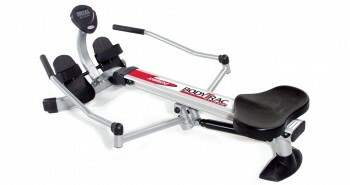 They make a wide range of exercise machines including, but not limited to rowers, treadmills, and recumbent bikes. You can burn up to 800 calories per hour with a very intense workout on the LifeSpan Fitness RW1000. That’s awesome if weight loss is one of your fitness goals. The idea of burning calories while I watch TV sounds good to me. 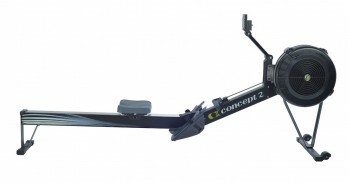 This rower uses a magnetic resistant system and it also has a patented eddy current brake that helps to smooth out the rowing motion. The eddy current system also helps this rower to be very quiet while you are using it. Many users commented on how quiet the LifeSpan Fitness RW1000 is, so you will definitely be able to hear the TV while rowing if you want to watch. There are 5 levels of resistance to choose from on the LifeSpan Fitness RW1000, so most people should be able to find a level that is challenging enough for them. Some people will not like that you have to actually stop rowing in order to change the resistance level. A few users also mentioned that they did not find the resistance offered by this rower to be challenging enough after they used it for a few weeks, so it may not be suitable for people at very advanced fitness levels. LifeSpan used a very durable and solid steel to make the frame on the Fitness RW1000. With a frame this strong, the rower can accommodate up to 300 pounds of weight, which is more than the average rower, which usually has a weight capacity of about 250 pounds. This rower should last you for years of workouts and the manufacturers have backed it up with a very nice 5-year warranty on the frame as well as 2 years for parts and a year for labor. You should not have any issues with the rower moving or lifting during a workout as long as you use the metal dowel on the machine to raise the middle legs off the ground. 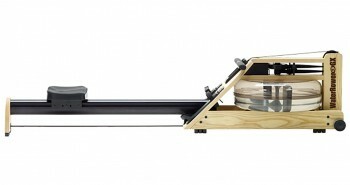 This will make the rower more stable during your workout so that it does not shift. For those of you who like to row for long periods of time, you will be pleased to know that the seat on the LifeSpan Fitness RW1000 is ergonomically designed and padded with foam for comfort. You should not have to worry about getting sore using this rower. You can also adjust the height of the seat to make it more comfortable for you. Few rowers allow you to adjust the seat height like this. 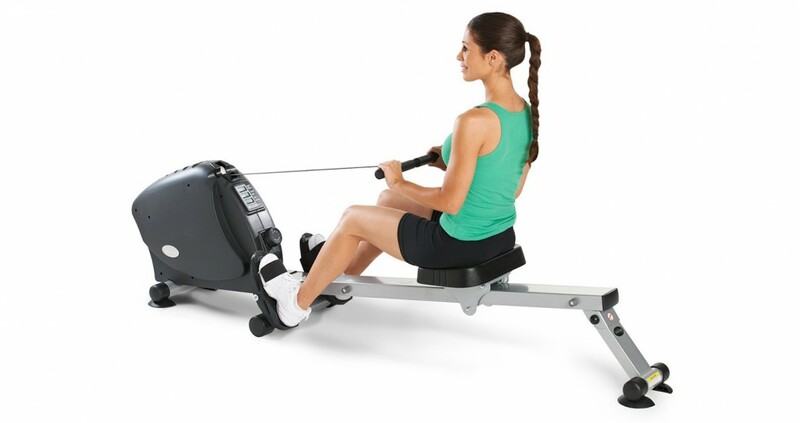 The handle on this rower is padded to make it more comfortable for you to use. Your feet should also be comfortable in the footrests as they swivel to allow your feet to move naturally when you are rowing. You shouldn’t have to worry about any discomfort in your hands and feet when using this rower with the features that it has to make them more comfortable. Instead, you can focus your attention on working out your muscles and body. If your feet are as large as the footprints left behind by the mysterious Bigfoot, you may have some trouble using the LifeSpan Fitness RW1000 comfortably. This is because the footrests are a bit shallow and the foot straps don’t seem to be able to hold larger feet effectively. No one likes having to stop a workout to tighten foot straps, it’s inconvenient and annoying. If you have regular-sized feet, however, you should not have any problems with the foot straps. Users of the LifeSpan Fitness RW1000 report that the calories burned data displayed is sometimes incorrect. Also, there is no backlight in the monitor, so you wont be able to see data clearly if you are working out in dimly lit conditions. 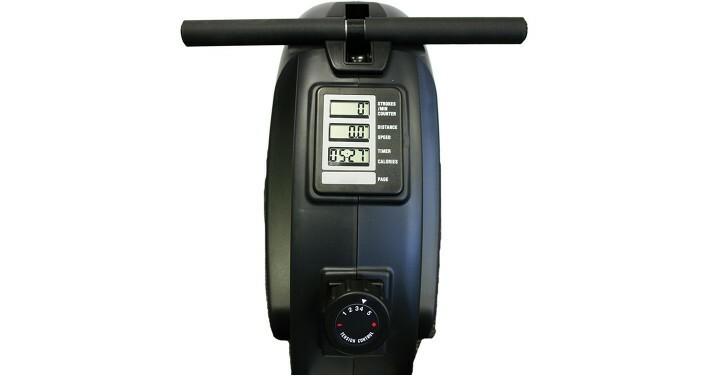 The LifeSpan Fitness RW1000 is a good rower for people who have small workout spaces and like to be able to watch TV during a workout session. It is more suitable for those at beginner or intermediate fitness levels; those at more advanced levels may not find it to be challenging enough. It did receive an award for excellence, so you should find the LifeSpan Fitness RW1000 but be a worthwhile investment to help you reach your fitness goals.